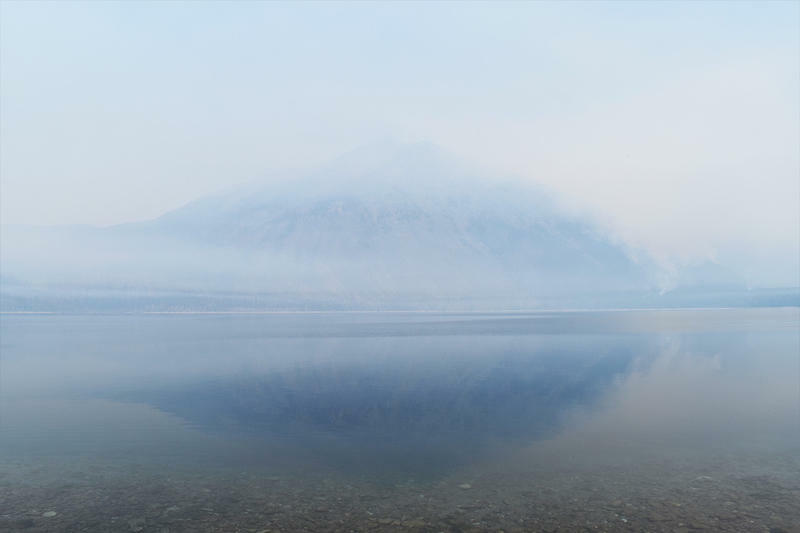 The view toward Glacier Park's Stanton Mountain obscured by smoke, with Lake McDonald in the foreground, August 21, 2018. The stretch between Lake McDonald Lodge and Avalanche Creek is usually bumper to bumper with cars this time of year. 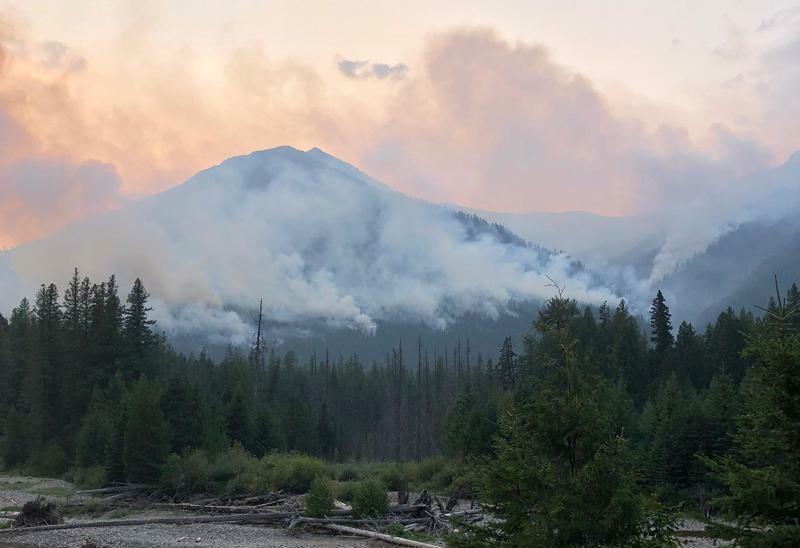 But today, you can hear the trickle of McDonald Creek under the roar of a pump sending water through almost 10 miles of pipes into the forest, where firefighters are setting up sprinklers to hem in the northeast edge of the Howe Ridge Fire. "It's taken us about three days for me to really feel good that we can take a stand, and I think we're two or three days ahead of it," says Shane Ralston, a division group supervisor for this area of the fire. Ralston says following the fire’s explosive first week, it’s mellowed out since he arrived on Saturday. "We've taken a few days of some winds on it," he says. "It's done a few isolated tree torching and no sustained crown runs that I've seen in the fuel next to the structures." Ralston’s division covers the forest along North Lake McDonald Road to the Lake McDonald Lodge, the Going-To-The-Sun corridor and the area in between. He oversees about 80 to 100 people, including the Chief Mountain Hot Shots and five engine crews. He also works closely with a structure protection division tasked with wrapping cabins in fire-retardant foil and setting up sprinklers. "From the Ranger Station, I have all those structures prepped with sprinklers around them, all the way 'til nearly Lake McDonald Lodge," he says. "The structure group's in there working real hard. We put some portable water tanks in there. We've got multiple tenders, people assessing the actual structures themselves and the terrain around them." 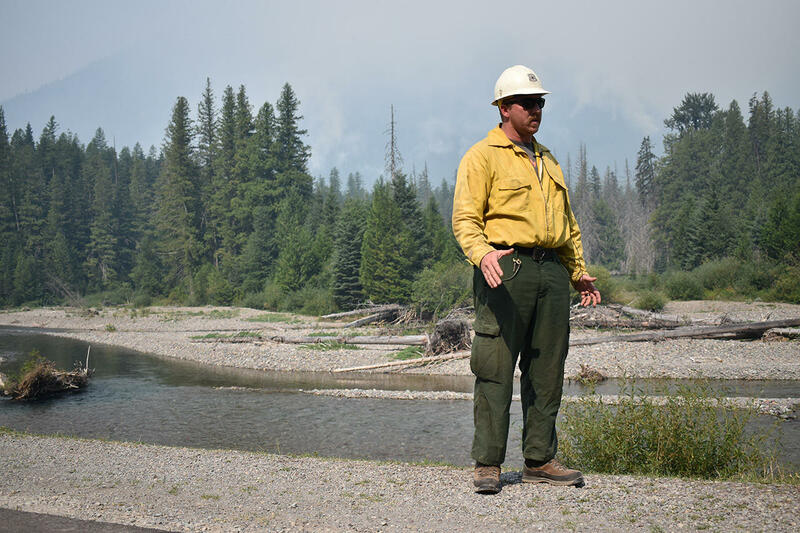 Shane Ralston, a division group supervisor assigned to the northeast flank of the Howe Ridge Fire in Glacier National Park, August 21, 2018. He says a private contract group will arrive later this week to set up a giant sprinkler system around Lake McDonald Lodge, similar to the system used last year to keep the Lodge Complex area humid. The fire would need to jump across the lake or swing around the northern shoreline to reach the Lodge. Ralston says his crews are also laying sprinklers and hose along sections of the McDonald Creek trail to prevent the fire from reaching Going-To-The Sun Road. He says the fire is about a half mile from there now. "There's a lot of potential that it could bump the road. I'm not going to say it's not," he says. "But it's not showing me that it's going to, in the conditions we've had lately." Going-To-The-Sun Road is in the middle of a major face-lift that started in 2007. This section in particular, between the Park’s west entrance and Avalanche Creek, was just redone this summer. Ralston says it will probably be ok.
"I've been on a lot of fires with a lot of nice paved roads like this, and the severity of the burn, it's real unlikely it'll do any damage to this road at all," he says. "There may be some snags that fall and crack the edges that may need attention, but as far as melting the road, that's unrealistic." He points across the creek to where smoke billows up in an even line across the mountainside. "If you can see that line of fire right there, that was a larger horseshoe and now it's straight right now, and really calm, walking down." On Monday a helicopter dropped ping pong ball-sized fire starters, called plastic sphere dispensers, or PSDs, to straighten out the fire’s northeast edge and make it easier for firefighters on the ground to keep it there. "It's a real cheap and easy way to get the fire to back down without destroying the landscape, and actually doing good work for future fires and the forest," Ralston says. Ralston says having the lake nearby is a blessing. Two superscooper air tankers run quick laps dropping water on the fires’ southwest flank as visibility allows, and he’s able to move supplies quickly by boat. He says for the moment, he has the resources he needs. At this time of year, that’s not always the case. "There's a lot going on in the northwest," he says. "I just spent two weeks in Oregon on a fire, and I couldn't get resources there either, and that was two weeks ago. It's definitely a challenge. It's not a new challenge, but a challenge." An infrared flight Monday night showed the fire is growing to the southwest toward the Fish Creek Campground. The east side of the park remains open. Six of the seven lightning-caused wildfires that emerged in the Bitterroot National Forest Monday are either contained or controlled. Spokesperson Tod McKay says the one remaining fire, the Tin Cup Fire burning near Darby, is less than a quarter-acre in size. Pre-evacuation notices have been issued for 12 properties near the Gold Hill Fire, which is burning about 1,000 acres north of Libby. 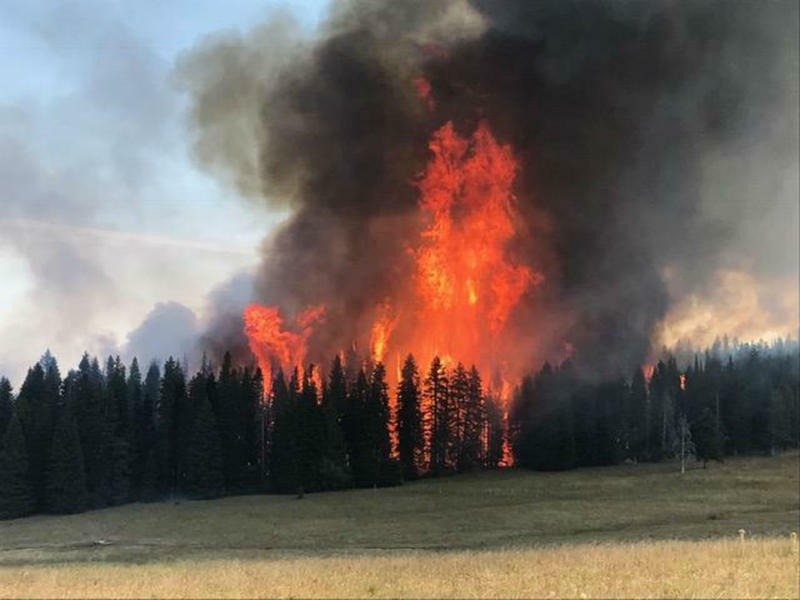 A community meeting for the Beaver Creek and Goldstone fires, cumulatively burning more than 10,000 acres in the Beaverhead-Deerlodge National Forest will be held Tuesday at 7pm, at the Community Building in Wisdom. A community meeting for the Bacon Rind Fire, burning 2000 acres in the Gallatin National Forest and Yellowstone National Park will be held Wednesday at 7pm at the Community Protestant Church in West Yellowstone. Evacuation warnings for the Haypress Lakes area near Ennis have been lifted for the Wigwam and Monument fires, which are together burning about 10,000 acres. 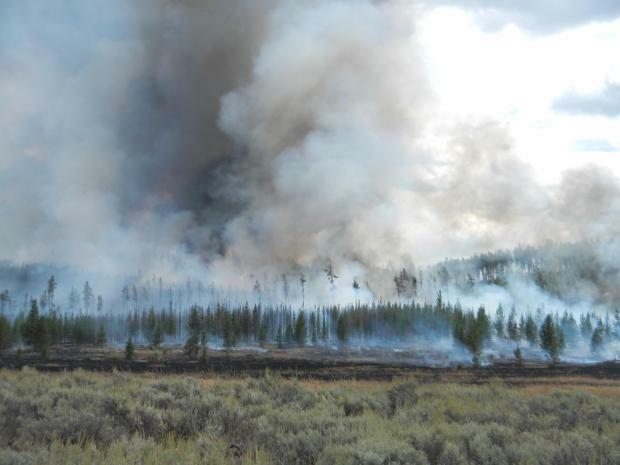 The latest on wildfires around western Montana. In Yellowstone National Park, five fires continue to burn over 10,000 acres. 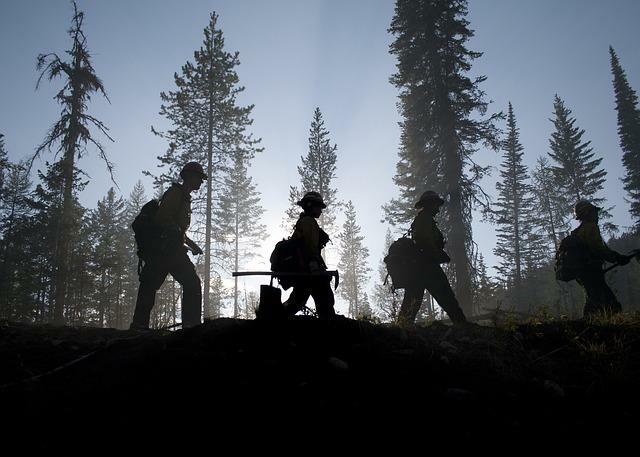 Some, like the 191 acre Boundary Fire and the one acre Thumb Fire, are being suppressed with teams of smoke jumpers and other aerial resources.